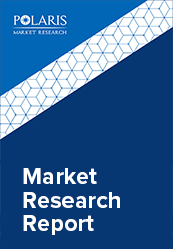 The global liquefied natural gas (LNG) market is anticipated to grow at a CAGR of 9.1% between 2018 to 2026. In the next few years, the increase in supply of LNG is expected to grow faster and there has been significant development in its infrastructure in several parts of the globe and Liquefied Natural Gas (LNG) market will grow further with rising demand for energy. However, unlike the refined products or even the crude, storage of LNG is not economical owing to boil off the gas. Hence, the LNG market has to balance by the combination of higher demand along with lower rate of utilization at the liquefaction plants. From the early half of 2017, the industry noticed some interesting trends in significant increase in demand and this is anticipated to continue over the forecast period. Development of new infrastructure and low spot prices for the product has lead to an increase in demand in several nations, while economic and technical issues have meant lower than projected supply. By the end of 2016, the global LNG trade recorded 258 million tones, an increase in 13.1 MT around 5% up from that of 2015. Trade values in 2017 increased over 260 MT. The continued addition of supply mainly in the Pacific Basin especially in the Australian region along with the increase in exports from the United States Gulf of Mexico LNG trade has increased significantly which is influencing the Liquefied Natural Gas (LNG) market growth in the coming years. The worldwide liquefaction capacity increased at a similar rate in 2016 as in 2015, adding another 35 MTPA of additional capacity between the end of 2015 and January 2017 to reach a total of 339.7 MTPA. This includes several new projects including the Sabine Pass LNG, as well as the trains at GLNG (Gladstone LNG), QCLNG (Queensland Curtis LNG), and MLNG (Malaysia LNG). Increase in liquefaction capacity is projected to increase over the forecast period as 114.6 MTPA of capacity was added in 2017. The increasing discoveries of gas reserves and the shale revolution in the U.S. has been the major factors driving the Liquefied Natural Gas (LNG) market worldwide. The global Liquefied Natural Gas (LNG) market is segmented based on type of its application and regional segments. Application segments are further bifurcated into industrial & mining, power generation and transportation. Industrial and mining industry accounted for the largest share in terms of consumption 2017. Commercial and industrial boilers are the most common users. These industrial sectors include manufacturing, dairy products, construction products and food processing. Road and transportation is yet another potential segment. LNG as an alternative for diesel has been gaining much importance lately. Heavy duty vehicles along with earth movers are some of the main consumers. It is a cost effective and practical way to reduce road transport emissions. It has been estimated that there is a total of 4,000 LNG vehicles currently globally. Asia Pacific is expected to be the fastest growing regional in the Liquefied Natural Gas (LNG) market owning to the its increasing consumption of LNG. Product demand from many emerging nations has increased sharply in 2017 -18. These nations include Pakistan which is a comparatively new importer of LNG. Turkey is also another emerging importer that in 2017 installed its fully developed third FSRU terminal for imports. China is the market with the significant capacity of spare regasification. The country’s LNG infrastructure is well developed to absorb surplus cargos and the nation is expected to add another 1.8 mtpa in 2018. The worldwide LNG volume is mostly to be consumed by Asia Pacific and the Europe region almost equally. This helps in explaining the concurrence as in, with each clearing independently.